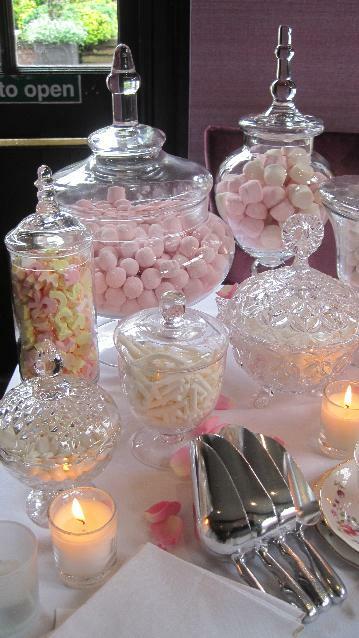 We are a venue styling and hire company that also makes cupcakes, sweetie tables, sweetie trees and has an online boutique for favours, stationery, real petal confetti and other decorations. We have offices in Alderley Edge and Sheffield and cover the whole of England but we mainly work in Cheshire, Manchester, Merseyside, Lancashire, Yorkshire and Derbyshire. This year we were very proud to be on Don’t Tell The Bride but in the past Tamaryn won an award for her wedding design for vintage theme wedding which was very exciting! Have a look on our website at www.tamarynstreasures.co.uk and you can either send us an enquiry online via our form, call us on 01625 300065 or email us at enquiries@tamarynstreasures.co.uk. We will still be working in-between Christmas and New Year. 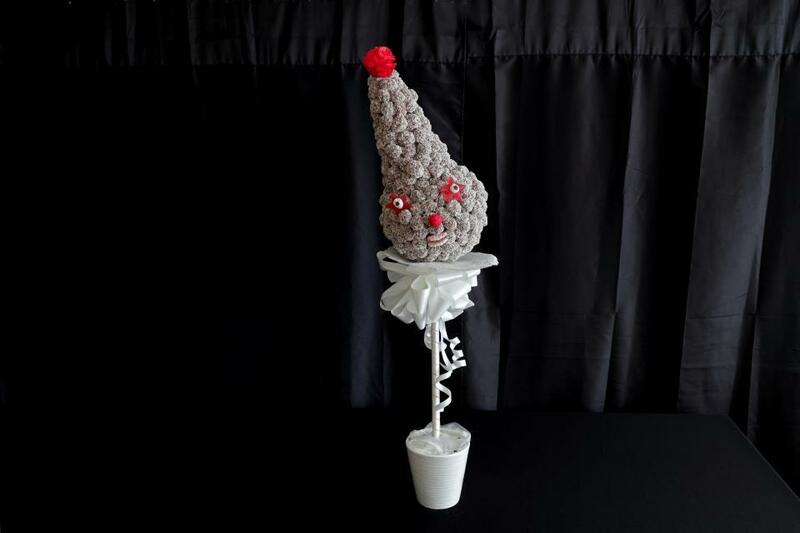 Oooo probably the Christmas tree! 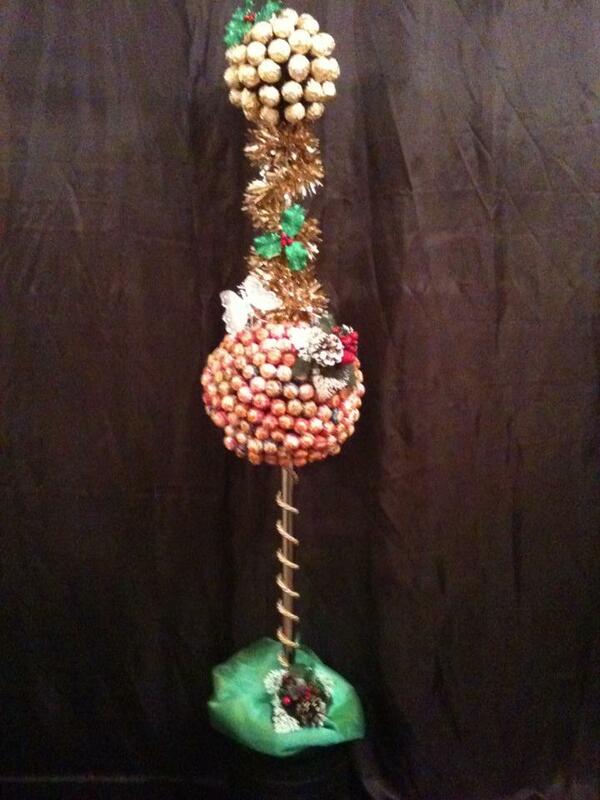 We are very festive and love making things for Christmas. Tamaryn makes amazing mince-pies and the pastry just crumbles in the mouth. We also make wreaths, Christmas cupcakes, popcorn strings, Lebekuchen and love wrapping presents in creative ways but this year we made our first gingerbread house and that was really got us in the mood for Christmas! WOW! This is my first ever blog! I’m honoured to doing it for the lovely Sue Page at Ice The Cake. I’m not too sure on where to start so here goes…. In 2004 when I got married to my husband, during our planning process of our wedding I was fed up with people telling me how to have my wedding day and all I ever heard was ‘’This is how it’s usually done’’! I didn’t want my wedding like everyone else’s each wedding is different and should be as individual as you are, no two weddings should be the same. 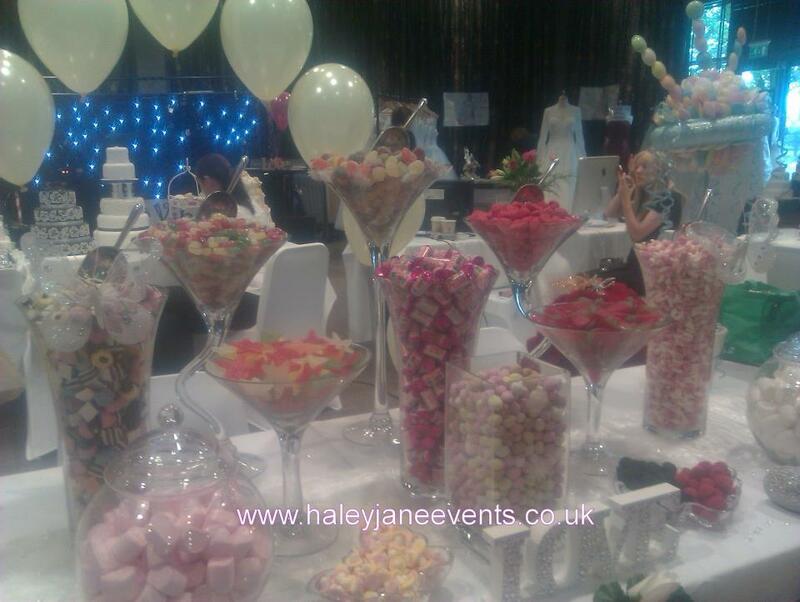 I have always wanted to become a wedding planner & events co-ordinator from a young age. 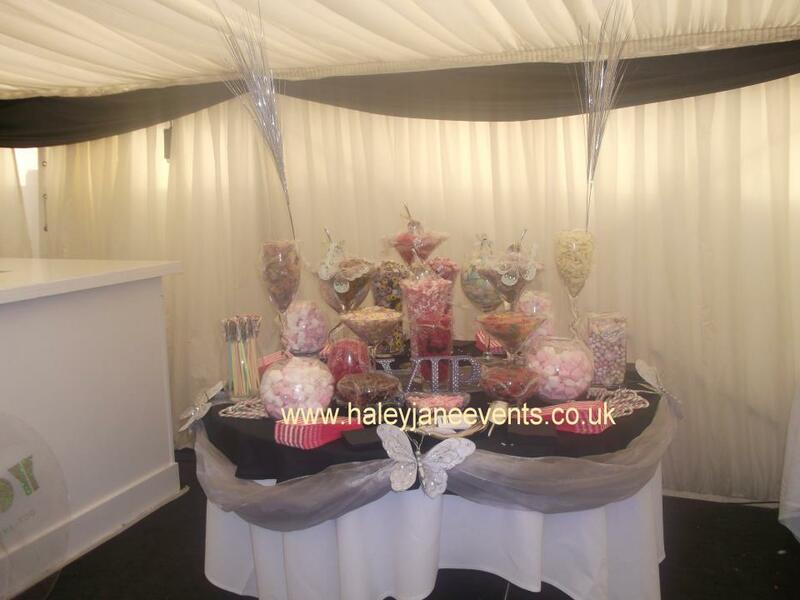 I have also helped out with family & friends weddings to gain hands on experience. I love to do anything from the smaller intimate wedding to the grand weddings & events. I like to inspire brides & lt’s important to bring their personalities & add their special touch to their special day. In January 2011 I contacted the Prince’s Trust to if they could assist me in to setting up my own Business and I was then awarded a start up loan. The Prince’s Trust is not just financial support. 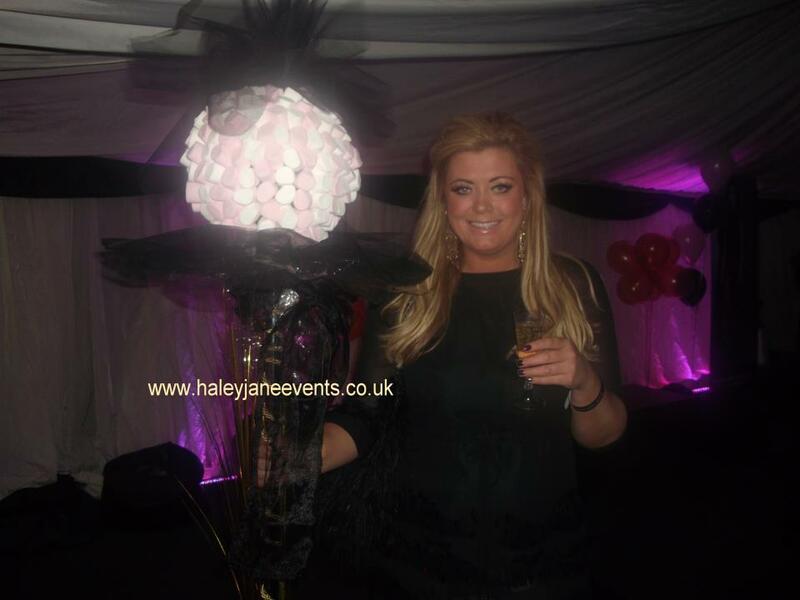 They actually believed in me, they gave me the confidence & help to achieve my dreams I then went on to build my own Business & Haley Jane Events was born 5th July 2011. We can be involved with your wedding or event as little or as much as you wish from On the Day Co-ordination, Venue Sourcing & right down to the final design. I’m based in the West Midlands, Birmingham Solihull area but I do cover the whole of the UK & Beyond if required. 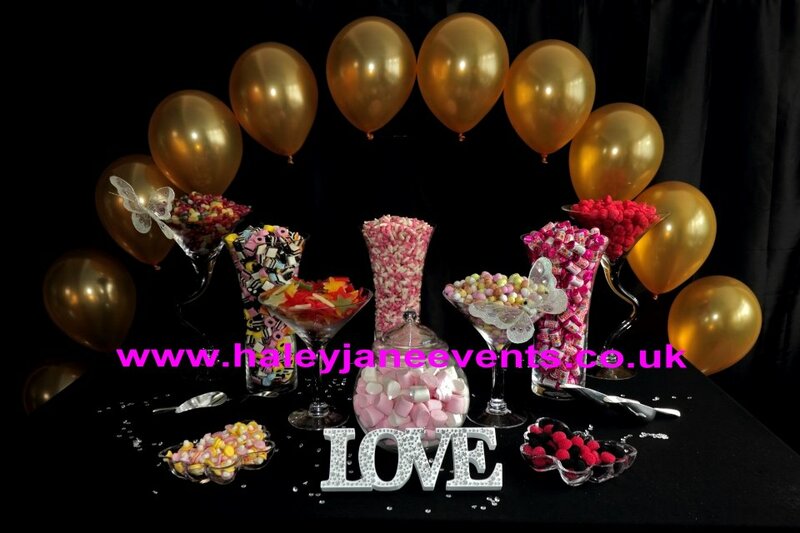 We also supply our very own Candy Buffet which we have specially designed four packages for you to choose from all of our packages can be tailor made to suit your chosen requirements. 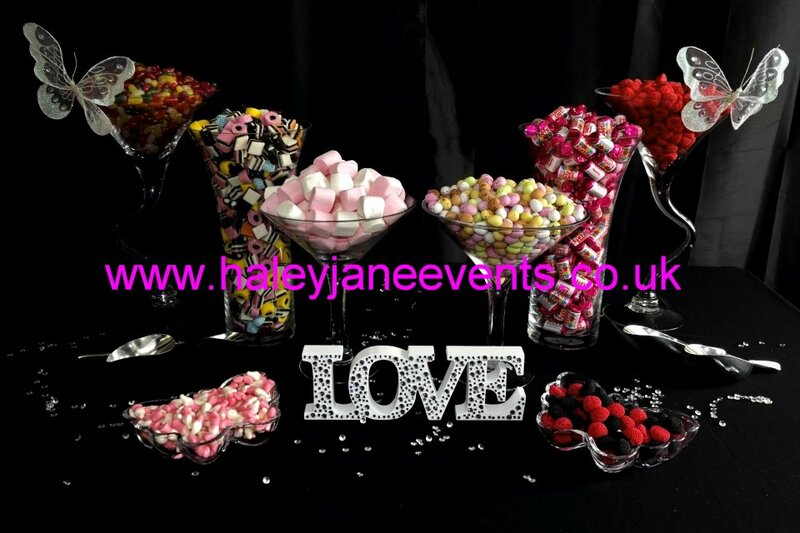 We offer many different accessories for you to choose from at NO EXTRA COST, The hardest thing you will have to do is choose your sweets. Personalised message from the Bride & Groom or Event Host. 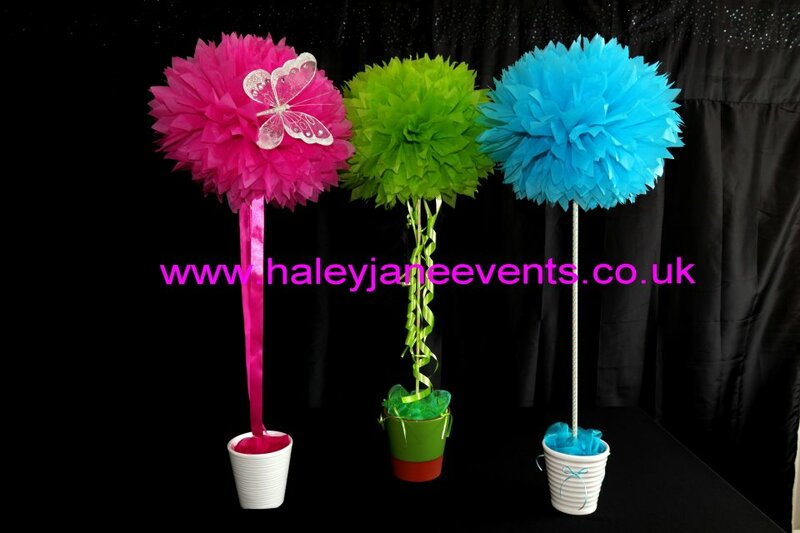 It’s perfect for all those mini guests at your wedding or event and big kids love it too! 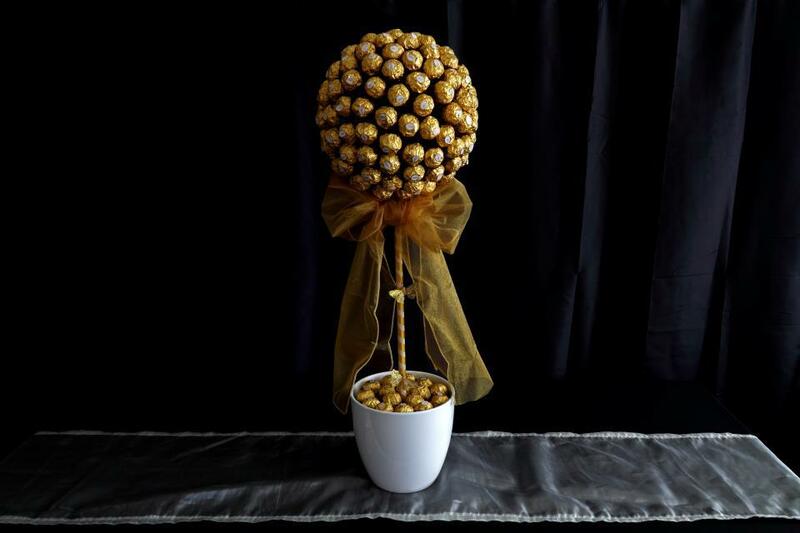 We can also supply the perfect gifts for you with our amazing Candy Tree they are also available as floor standing over 5ft high! 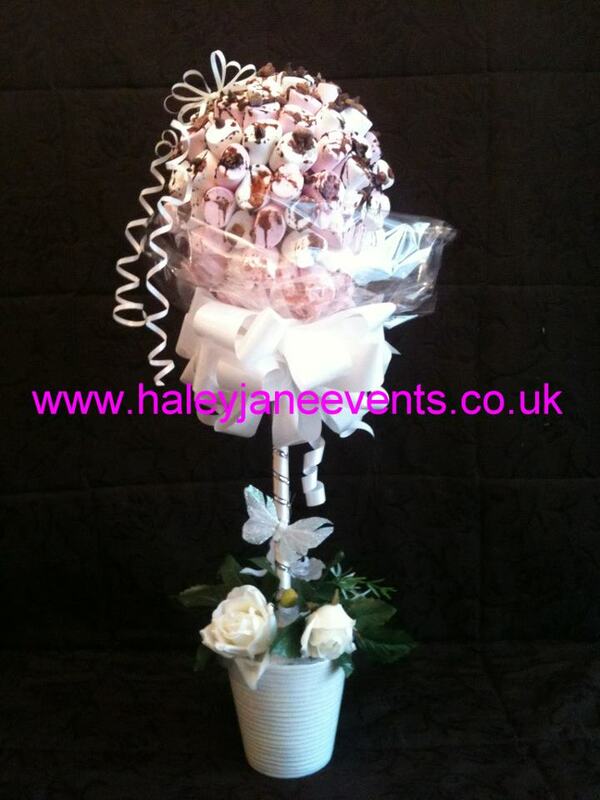 The Candy Trees are perfect for Weddings, Corporate Events also including Birthdays, Engagements, and Baby Showers or even just to say thank you to someone special. 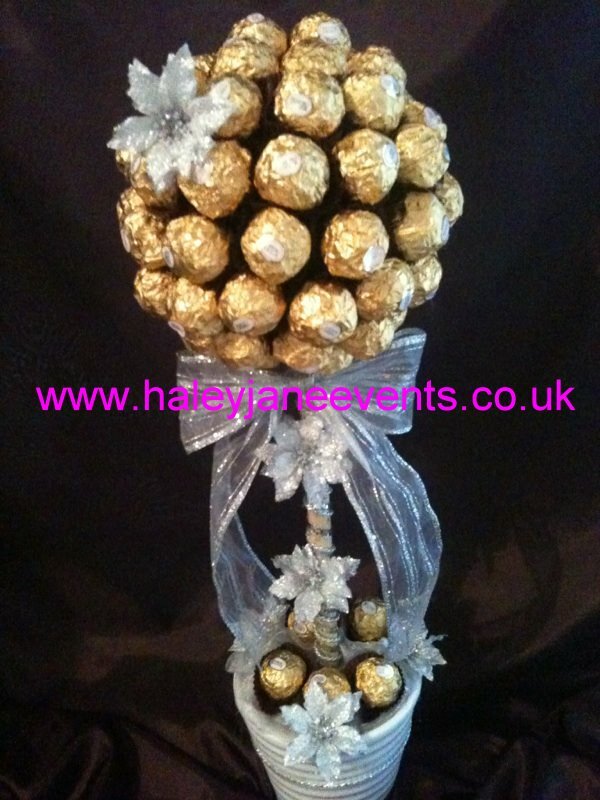 All our Candy Trees are custom made & made to order just how you like them, you can choose all your own colours or even add a theme! & we can take care of the rest for you! 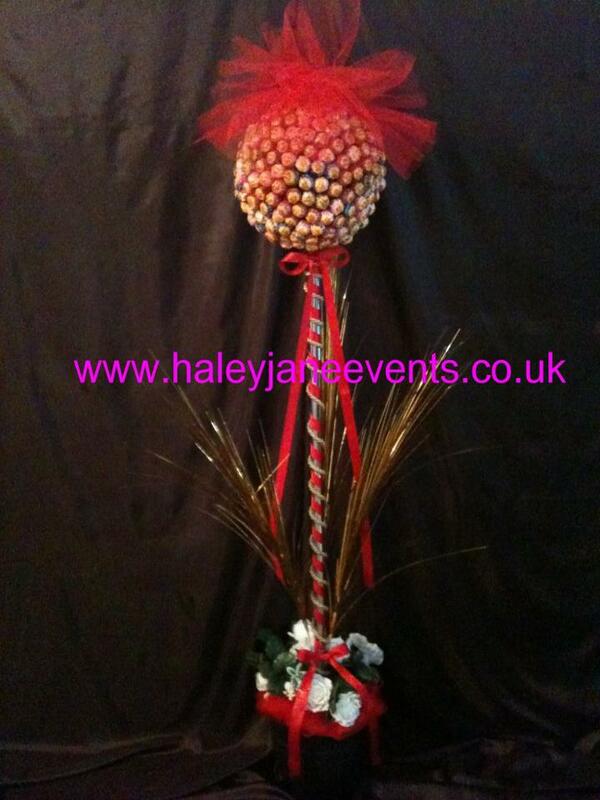 All our Candy Trees also make great gifts for Christmas & can also be made up for you in Christmas colours & themes. 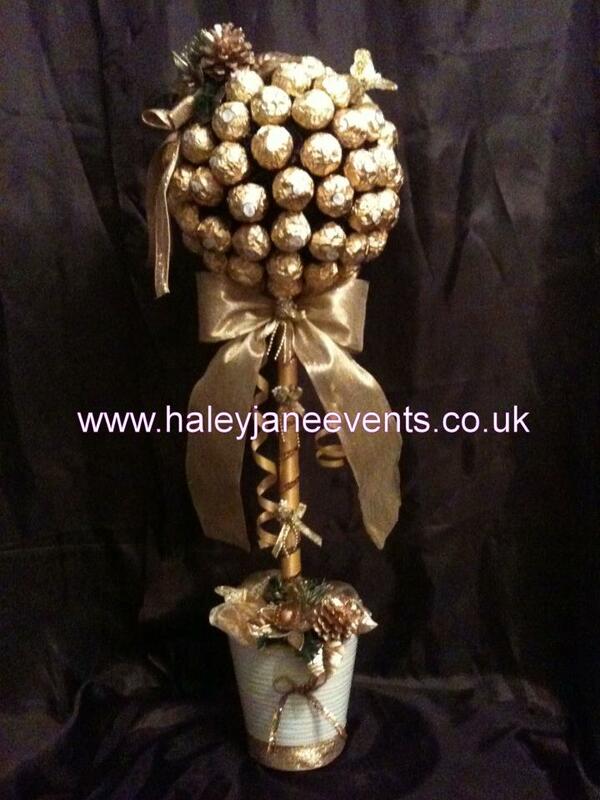 They are also great for a table centre piece if your entertaining family & friends over the Christmas period. It’s both different & unexpected. 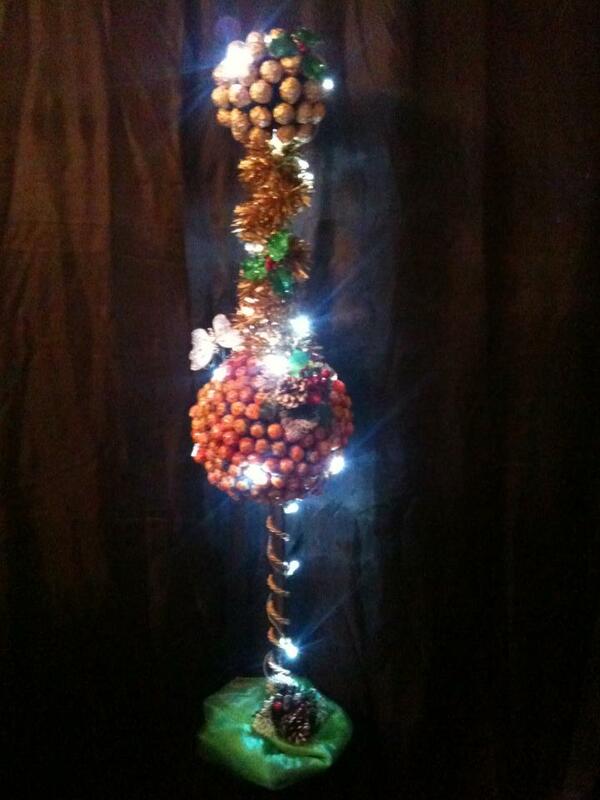 We can make them up as a single ball or double the fun with our 2 teir candy tree choose all of your favourite sweets! All our products come complete with cellophane wrapped & include a bow of your chosen colour making it the perfect Christmas gift. I have so many great achievements but my most recent achievement would be being contacted by Giuliano from BRMB Radio Station asking me to do my first ever radio talk as they were holding an event ‘Brides on Broad Street’ this also helped me to ‘Plug’ my Business on Air, What a fantastic opportunity for me as a new Start up Business. 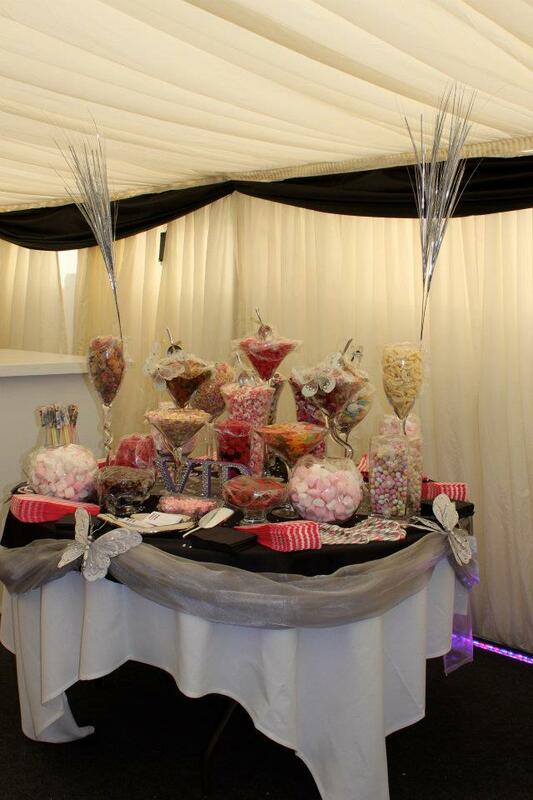 My second Greatest Achievement would have to be being contacted by Danielle from WeBop; she asked me If I wanted to supply our Candy Buffet & Balloons for Essex Fashion Week at Woolston Manor on 29th October 2011, which was to be displayed in the VIP Area! 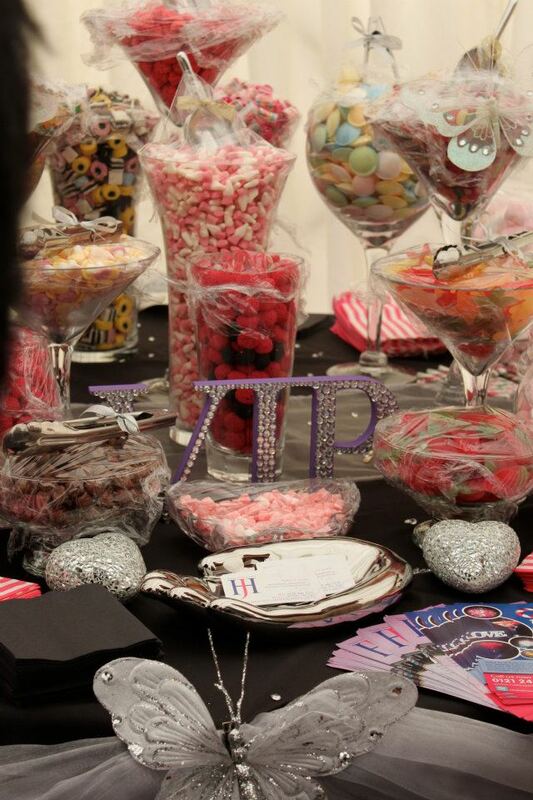 Our Candy Buffet was enjoyed by all from Fashion Designer & Celebrities which included Carol Mcgriffin, X-Factor’s John Wilding, 2 Shoes, Big Brothers Charlie Drummond & Rebeckah Vaughan also the TOWIE cast of The Only Way Is Essex, Towie twins Adam & Simon Ryan, Lauren Goodger, Chloe Sims, Gemma Collins & Ellie Redman plus many more. 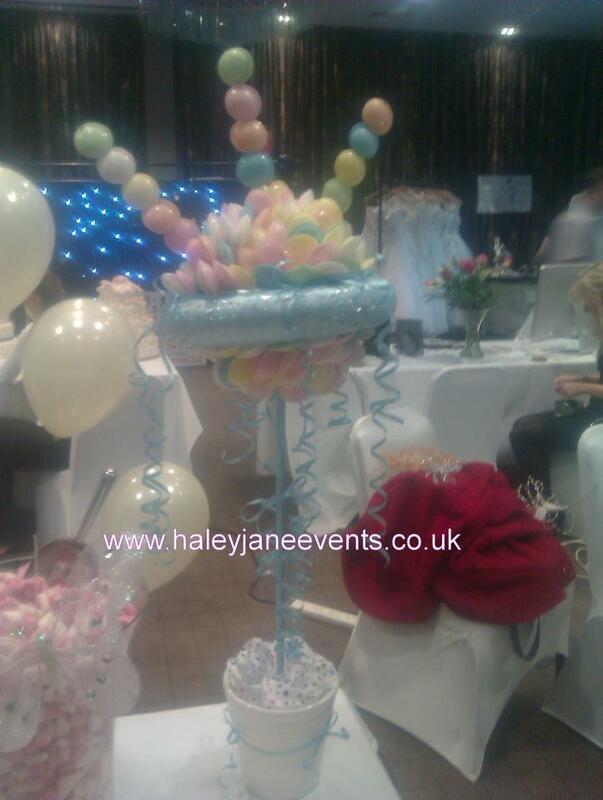 I also supplied one of our NEW Candy Trees which is floor standing and reaches over 5ft high and was full of light fluffy marshmallows and was enjoyed by all the celebrities & was even Tweeted about the next day by a Fashion Designer & Ellie Redman (From TOWIE). My achievements are just overwhelming & I feel quite humble by it all, I have had so many positive comments & lovely feed back from the work we produce it’s really nice to know I have support from all my wonderful suppliers & followers. 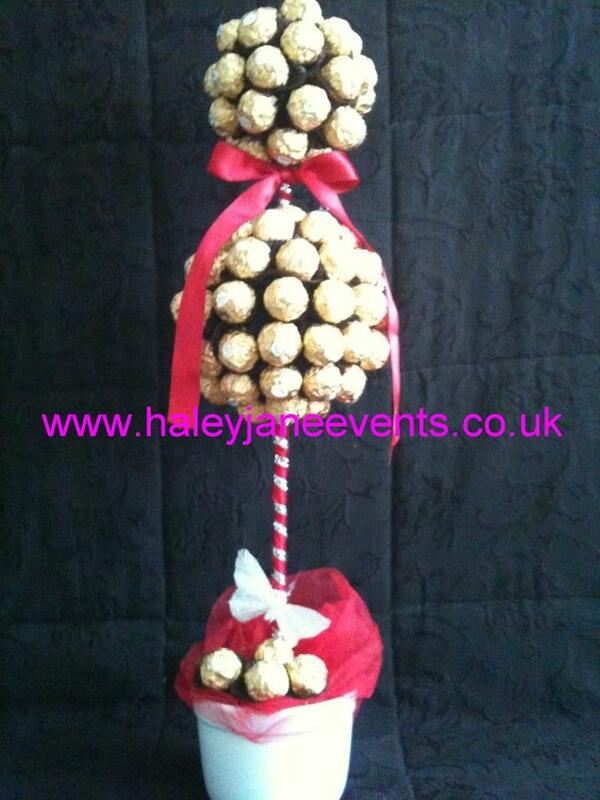 I believe that our candy trees are universal & you should be able to give someone special, something different! 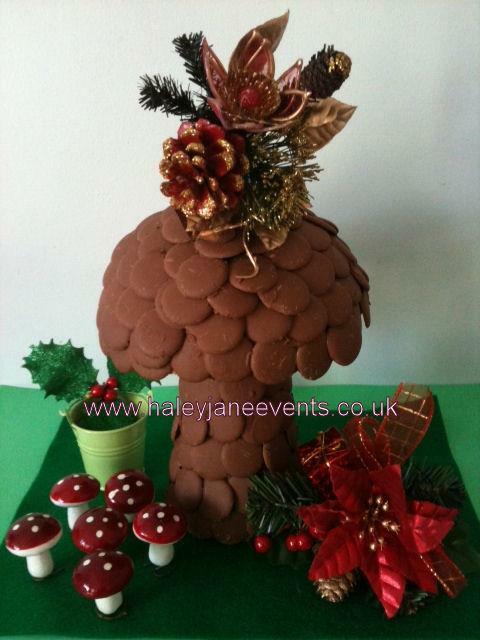 I have a wide variety of Christmas candy trees, Even if you have your own ideas & inspirations on how you would like your candy tree to be then I’m more than happy to work with you & create something special for you! – We believe in going the extra mile! I have a wonderful family who have supported me & I’m very lucky & grateful to each and every one of you & to my followers on Facebook & Twitter for their continued help & support. Thank you! Me & my family love Christmas, Ti’s the season to be jolly it’s time for celebrating & for everyone to enjoy the festive season, I love listening to my children early hours Christmas morning whispering between themselves as my one daughter say’s to the other ‘wake up, wake up I think Santa’s been’ you can hear the excitement in their voices such a magical and unforgotten time. We hear their beds creek and just think Noooo It’s too early! But to see their faces Christmas morning is just magical & priceless. Hope each & everyone one you have a wonderful Christmas time don’t forget to hang out your stocking!